With expert guidance, people can determine whether their cardiac problems are of the type and level that qualify for Social Security disability payments. Cardiac disorders may qualify you for social security disability benefits–our experts fight to get you the social security disability benefits you deserve and they give you a free consultation! The heart is a complex and very important organ. Unfortunately, it may not always perform in an optimal manner. A heart test is used to discover heart problems and what is causing them. Results are used to determine effective treatment. The Social Security Administration includes cardiovascular impairment in the types of disabilities that it evaluates for disability benefits. There are several types of cardiac disorders and most are relatively severe. An aneurysm occurs when an area of the aorta wall weakens and then grows to larger than normal size. It can develop in various parts of the body including the abdomen, brain, and heart. Change in lifestyle, medication, or surgery is prescribed to prevent an aneurysm from rupturing and causing excessive bleeding, shock, or death. Aneurysms of the aorta or major branches of the heart qualify as a Social Security disability, regardless of their cause. They are diagnosed through computed tomography, an MRI and chest X-ray, or an echocardiogram. Other electrophysiological tests are used to detect recurrent arrhythmia or abnormal heart rhythms. Cardiac disorders are the types of disabilities that are caused by diseases or conditions that cause an irregular heartbeat or abnormal heartbeat rate. Chronic heart failure is one of the most common reasons that older people are admitted to a hospital. It is defined as cardiovascular impairment resulting from at least one of four heart disease consequences. Within 12 consecutive months, an individual must have had three or more episodes of acute congestive heart failure to qualify as having these Social Security disability diseases. Congestive heart failure is diagnosed by everything from blood tests to an angiography. For one year following surgery, individuals who have had heart transplants are considered disabled for Social Security purposes. After that period, they are evaluated for residual impairment under various cardiac disorder listings. These include peripheral arterial disease, which is based in part on systolic blood pressure measurements. Some individuals suffer from symptomatic congenital heart disease, which is sometimes treated through cardiac catheterization. This is a sampling of the cardiac disorders that are considered Social Security disability diseases. 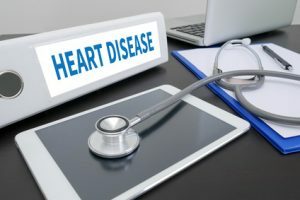 Individuals who have cardiac disorders should review the complete list on the Social Security Administration website or contact an expert on this site who specializes in these disability cases and offers a 100% free consultation! With expert guidance, people can determine whether their cardiac problems are of the type and level that qualify for Social Security disability payments. Attorneys help qualifying individuals apply for SSDI and prepare appeals for denied applications. my mother had a stroke and now cant work anymore. we live in Detroit and with the weather getting cold, we are worried about her paying her bills to keep the heat on. She is 55, has worked at a pharmacy cashier for last 20 years. Can she get disability? she cant walk anymore or drive. Please help. Yes, we can get her social security disability benefits! It is awful when people fall ill and even worse when they do not have the help they deserve–but we will take care of that for her! Offering free consultations and taking no fee up front, we are your source for social security disability benefits!